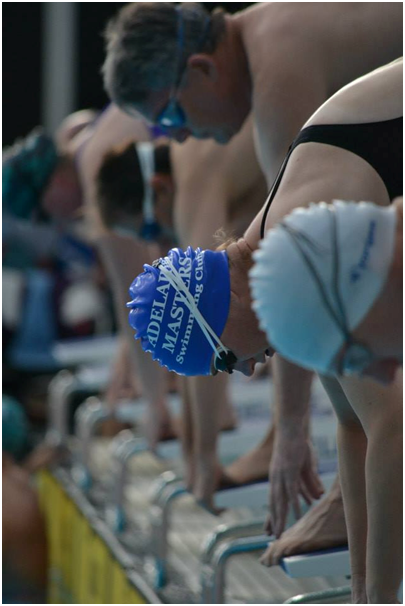 Established in 1977, our club has been providing Masters Swimming to South Australians for over 40 years. We are proud of our club’s history which has enabled us to be not only the oldest but also the largest and most successful swimming club in Adelaide and South Australia. Membership is open to adults 18 years and over and provides qualified coaching, stroke correction, regular open-water and pool events, competition, social activities and great support to have you swimming better than you thought you could. 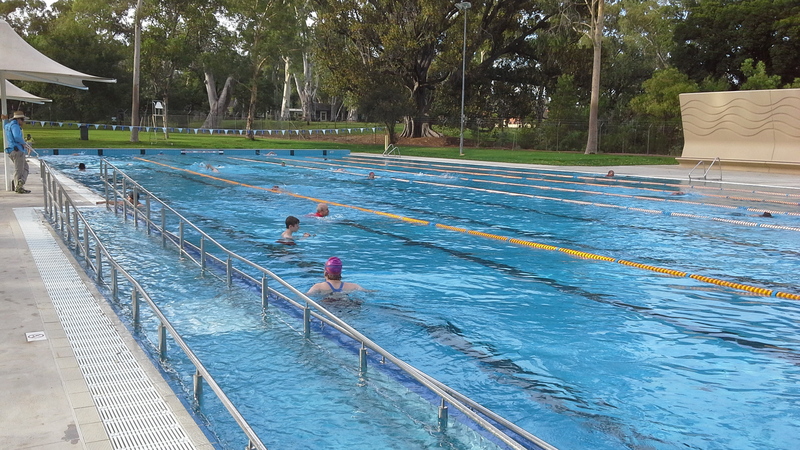 Adelaide Masters train at St Peter's College Pool during the cooler months on Mondays and Wednesdays from 6:30 to 8:00pm. Fridays training will be 6:30 to 7:30. We will be starting at St Peter's on the 29th of April 2019. To be advised when finishing at St Peters. Summer training is held at the Burnside Swimming Pool. Training is on Mondays and Wednesdays 6.15pm to 7.45pm. We will be starting the summer season from 5th October 2018. Cost: Pay pool entry plus $5.00 ($4.00 Consession) at poolside, cards representing 11 swims can be purchased for $50.00 ($40.00 Consession) and any previous cards will still be valid. Adelaide Masters members swim informally between Henley Beach and Grange jetties (2km) every weekend (9.00am Saturdays, Sundays and public holidays) between October and April. Meet at the car park near the Henley Beach Jetty. A few hardy swimmers swim all year round... email us for more information if you are interested. Please come along for a trial session. The first swim is free! After that we ask you to please join the club for insurance reasons. N.B. Purchase your Multi-Visit Pass here. Passes are not transferrable between summer and winter seasons. These provide 10 winter sessions for the cost of $120. Entertainment Books and Entertainment Digital Membership are now available for the 2017/2018 year, at a cost of $70. Every purchase raises $14 in funds for Adelaide Masters, and gives you many discounts on restaurants and other entertainment activities. All members are encouraged to purchase an Entertainment Book or the very flexible Entertainment Digital Membership (which keeps offers at your fingertips on your phone). And please encourage all your friends, relatives and workmates to buy one too! To purchase the Entertainment Book now, click HERE. If you order a Book or Digital Membership before 1 May, you will receive over $160 worth of Early Bird offers. Julianne Goode (Adelaide Masters) on the 8th of September became the first South Australian to successfully swim the Catalina Channel. The Catalina Channel is a 32km swim from the Catalina Islands to the California Coast and is known as the breeding ground for Great White Sharks. Julianne in only bathers (no wetsuit), one cap and a tonne of sunscreen swam in a very quick time of 10 hours and 49 mins. During the swim which began at midnight shecould hear the dolphins around her but did not see them. Yet to receive her official number for the crossing yet, though it will be less than 400. This swim is one of the Ocean 7. Julianne has done countless laps all winter between Henley and Grange as training. She also has swum the last two Rottnest Channel swims as training. Julianne is known as a machine and her pace did not vary across the whole Channel. Julianne is also very modest and quiet about her achievements and plans but we suspect that this is not her last big swim. If you see the orange float being towed off Henley please congratulate her if you can handle the temperature and keep up! Adelaide Masters have launched their smart and sassy club bathers. There are 2 styles for men (briefs and trunks) and one for women. The women's style is suitable for both pool and open water swimming. To order, click Merchandise on the left hand menu bar. Lee MacDonald and Cameron Mayfield are the coaches of Adelaide Masters, by arrangement with Norwood Swim School. Lee competed for the National Scotland Team between 1996 and 2004, including at the 1998 Youth Olympics, the 2002 Youth Commonwealth Games and numerous world FINA short course and long course championships throughout Europe. Lee is pictured at right between Tom and Michael, two members of the Adelaide Masters Swimming Club. Club Registration: Annual Club Registration renewals are due on 1st January. Registration can be done on-line here. Contact the club by email if you have forgotten your login details.